Our Cleansing wipes are all manufactured to the very best possible standards in a 100k clean room. Using only the finest ‘A’ grade materials, balanced to skins natural pH5.5 & Alcohol free. 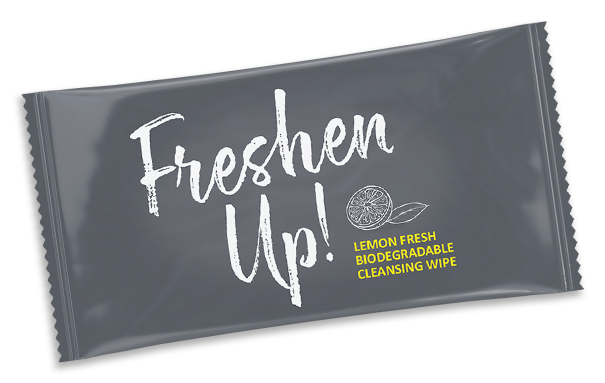 All wipes are sustainable with minimum long shelf life of 24 months along exceptional printing techniques make these the customers favourite choice here in the UK and Europe. Refreshening cleansing wipes are all manufactured in a 100k clean room, which is a controlled environment that has a low level of pollutants such as dust, airborne microbes, aerosol particles, and chemical vapors. In simple terms clean like an operating theatre. Cleanroom clothing garments are always used during the manufacturing process to prevent substances from being released off the wearer’s body and contaminating the cleansing wipes. By manufacturing in such safe and clean environment eliminates the use of adding alcohol to our cleansing wipes and giving a more balanced natural pH and peace of mind for all to use. Alcohol can sometimes cause skin irritation by making your skin feel dry, tight, flaky, even redness and sore. Some manufacturers who do not manufacture in 100K clean room environment add alcohol to make their cleansing wipes sterile when sealing wipes in the wrappings. Our cleansing wipes and the frangrances used are independently tested by SGS testing UK who are a world leader in this field to ensure the quality and safety of materials. We are continuously looking at ways to improve our products. We have recently introduced matt finish wrappings, embossed spunlace and are currently developing a bio-degradable wipe in order to meet the demand for environmentally friendly products.